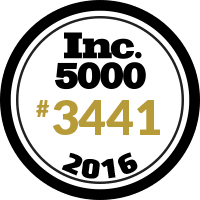 c2mtech, a business telephone and IT consulting firm has ranked for a fourth year on the prestigious Inc. 5000. Inc. magazine’s annual ranking of the fastest-growing private companies, is based on revenue growth. According to the 2016 list, c2mtech is the only Texas based telecommunications company to rank four times. c2mtech first placed on the Inc5000 in 2010. Earlier this year, c2mtech announced a partnership with Mitel, a global provider of cloud communications. The partnership allows c2mtech to expand VoIP products and services. In late 2016, c2mtech will move its headquarters to a larger space in Dallas. The new office will allow for a larger workforce in the years to come. c2mtech installs, services and maintains business telephony, computer networks, data and voice over IP (VOIP), audio visual systems (AV) and security systems. c2mtech delivers truly integrated technology and communications solutions for clients in a variety of industries. Based in Dallas-Fort Worth, c2mtech is recognized by the Inc5000 and CRN Fast 150. Now celebrating 40 years, c2mtech has expanded to serve small business, mid-market and enterprise clients in Dallas, Waco, Temple, Austin and Houston.